Joe Malenfant from the Cisco Talos team wrote a great post summering Cisco’s Advanced Malware Protection AMP (original post found HERE). The focus of the article is going beyond sandbox technology. A few years ago sandboxing technology really came of age in the security industry. The ability to emulate an environment, detonate a file without risk of infection, and analyze its behavior became quite a handy research tool. Since then, sandboxes have become relatively popular (not nearly on the same scale as anti-virus or firewalls) and can be found in larger organizations. 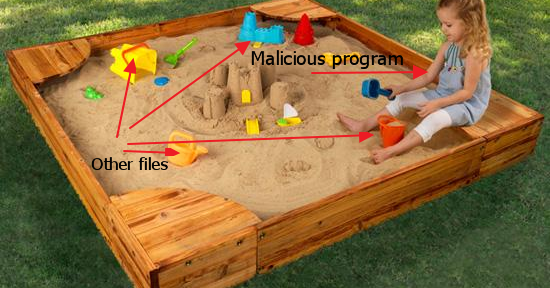 You may even have purchased a sandbox a few years ago, but it’s likely that your malware analysis needs have gone beyond the traditional sandboxing technologies that simply extract suspicious samples, analyze in a local virtual machine, and quarantine. It’s time to go beyond using sandboxing as a standalone capability in order to get the most out of it. You need a more robust malware analysis tool that fits seamlessly into your infrastructure and can continuously detect even the most advanced threats that are environmentally aware and can evade detection. There are three typical ways that organizations purchase and deploy sandbox technology. A stand-alone solution designed to feed itself samples for analysis without dependency on other security products. This has the most flexibility in deployment but adds significant hardware costs and complexity to management and analysis, especially for distributed enterprises. A distributed feeding sensor approach, such as firewalls, IPS, or UTMs with built-in sandboxing capabilities. These solutions are usually cost effective and easy to deploy but are less effective in detecting a broad range of suspicious files including web files. They can also introduce bandwidth limitations that can hamper network performance and privacy concerns when a cloud-based solution is the only option. Built into secure content gateways, such as web or email gateways. This approach is also cost effective but focuses on web and email channels only and also introduces performance limitations and privacy concerns. But there’s a fourth way that actually takes the best of what these approaches offer and raises the bar to help you fight well-funded attackers that get better at what they do every day: Cisco AMP Threat Grid. Through AMP Threat Grid, Cisco offers advanced malware analysis and intelligence that delivers a better ROI, better integration, and more visibility into what is happening in your environment. Don’t take my word for it, though. The Center for Internet Security recently described how they are using it to analyze malware samples from more than 19,000 state, local, tribal, and territorial governments. Each of these solutions eliminates cost and complexity while offering the ability to analyze a broad range of suspicious objects automatically, including executables, libraries (DLLs), Java, PDF, MS Office documents, XML, Flash, and URLs. Most submissions are analyzed in an average of 7.5 minutes. Not only does AMP Threat Grid analyze a broad range of objects, but it also provides deep analytics capabilities wrapped with robust context. With over 450 behavioral indicators and a malware knowledge base sourced from around the globe, AMP Threat Grid provides more accurate, context rich analytics into malware than ever before. All samples are given a threat score based on severity and confidence that provides a quick and easy way for junior security analysts to prioritize actions and make better decisions. The threat score is on a 0-100 range, with 100 being known malware and the rest ranging from suspicious to benign because malware is not a yes or no answer. Perhaps even most importantly, AMP Threat Grid knows its audience; it has no instrumentation within the virtual environment ensuring that even the most sophisticated environment-aware malware is caught. It’s an essential way to rise to the challenge of advanced attackers. To hear more about how your organization to move beyond the sandbox, watch this webinar featuring experts from Forrester Research, ADP, and Cisco.